Cape Town - Mamelodi Sundowns head coach Pitso Mosimane has spoken for the first time since being found guilty of violent conduct and did not seem particularly concerned by the verdict. 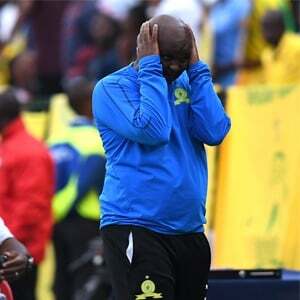 Mosimane was accused of assaulting a security officer under the employ of AmaZulu during the sides' encounter back in January, which Sundowns lost 2-0. Despite being found guilty, the Brazilians mentor remained typically defiant. "What are you going to do? These things pop up anytime and any day, just be ready when it pops up," he said. "I know my space and I am happy with my space because the guy spoke about it, the guy who I am supposed to have assaulted. "He has given his opinion and I am happy, as long as the guy does not say 'Pitso assaulted me'. The guy does not say that. So what am I charged for, because the guy does not say I beat him? So I don't want to talk, Nande Becker (PSL Prosecutor) will tell you about this thing. "It was a televised game, so where is the footage? I mean SuperSport has 18 or 16 cameras, so no one picked it up? I mean guys, I mean really you can't miss that."